A network performance monitoring solution can detect, troubleshoot, and help you resolve instability and outages on LAN, WAN, or Internet. Continuous testing and monitoring from a variety of networks, ISPs, and geographies will help you deliver optimal performance with minimal interruptions. Outages limited to a subset of networks can be difficult to detect if you aren’t measuring frequently enough or from the right number of locations. The faster you're notified of a problem, the faster you can resolve it. Run high-frequency tests at the application layer in conjunction with ping and traceroutes from multiple locations for end-to-end visibility. Continuously test your network from multiple vantage points: within your premises, in your data center or cloud environment, in key geographies, and across backbone, broadband, cloud, last mile, and wireless. Receive real-time alerts when performance or availability deviates from expected thresholds. Applications rely on flawless network connections. Packet loss and latency can ruin critical application delivery to end users directly impacting productivity and the bottom line. The faster problems can be detected, the quicker they can be resolved, reducing IT costs and restoring business productivity. 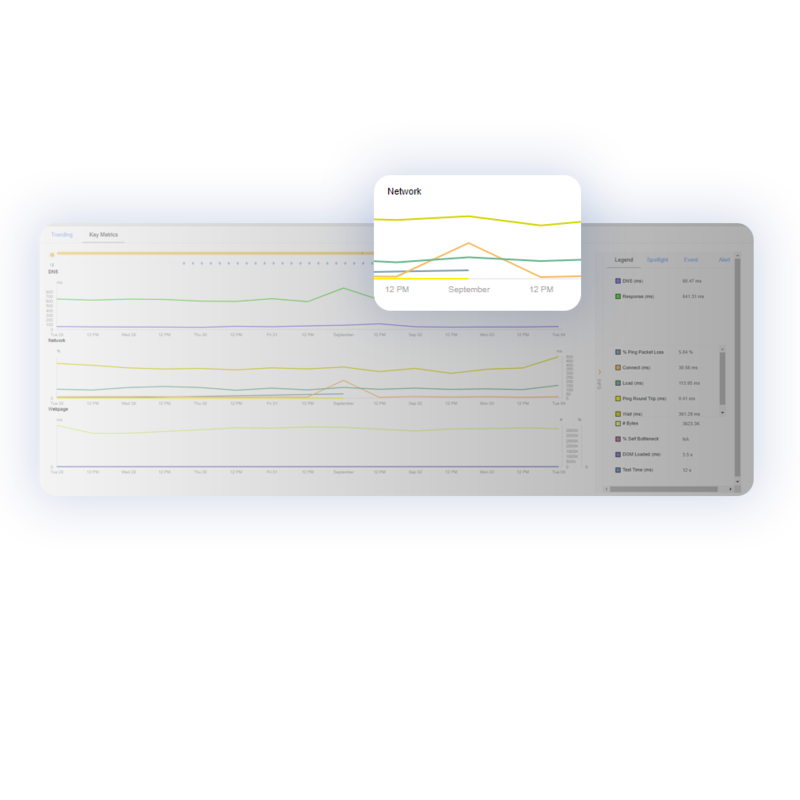 Measure ISP and route health across backbone, broadband, last mile, cloud, and wireless providers to understand reachability and performance. 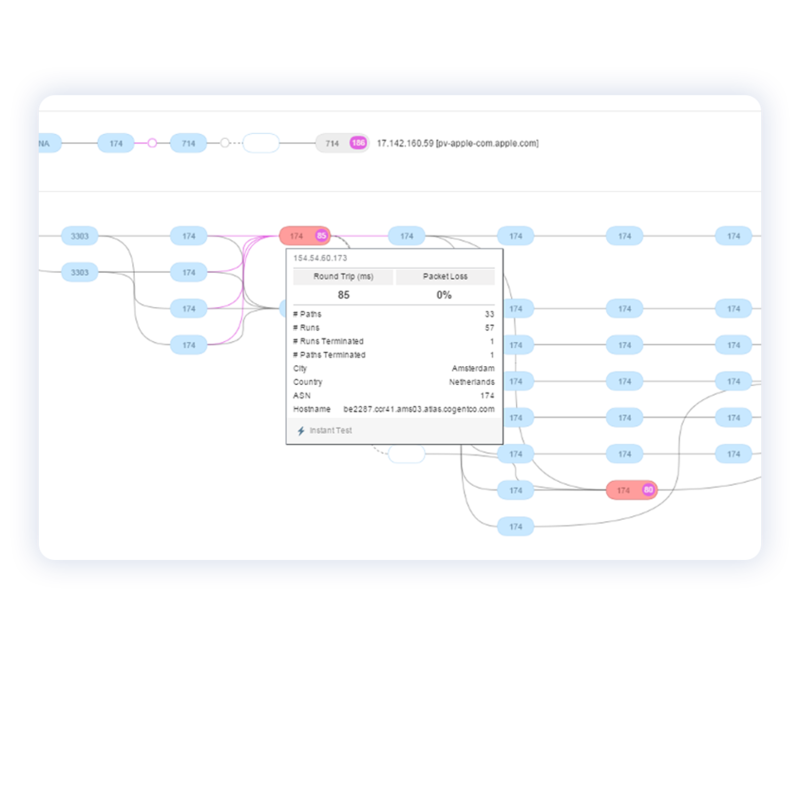 View historical BGP information to understand whether a route change or BGP hijacking was the root cause. 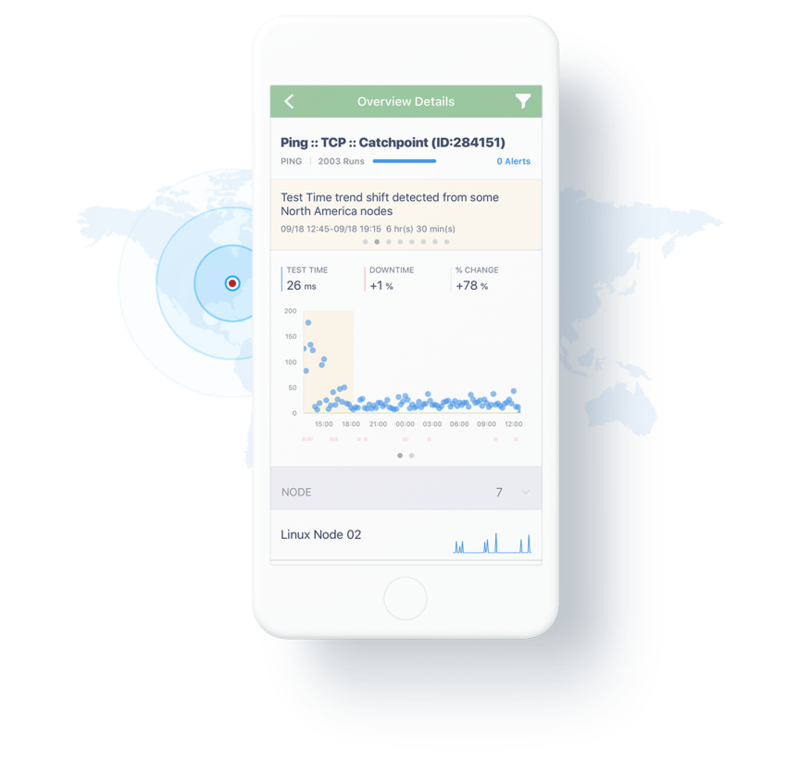 Continuously collect traceroute information from each location to get a full picture of network performance and understand how ISP peering impacts latency. States, countries, and ISPs can block applications and sites. They can control how much bandwidth certain applications consume on their networks. Test all components of your application with 20 predefined monitor types including DNS, wifi, ping, and traceroute from multiple geographies. Conduct on-demand instant tests with visual filmstrips from any location for a true look into end users experience. Detect and verify DNS and route hijacks. Your enterprise depends on WiFi connectivity, local network, secure web gateways, and cloud solutions. These solutions are necessary, yet complicate troubleshooting end user and application connectivity issues. blindspots. Catchpoint’s Enterprise Nodes provide a low-impact network monitoring mechanism to illustrate how internal dependencies impact service delivery at the last mile. Understand WiFi performance from corporate locations that may impact SaaS application performance. Ensure connectivity between head offices and call centers or regional offices. Measure performance and reliability of proxies or secure web gateways. 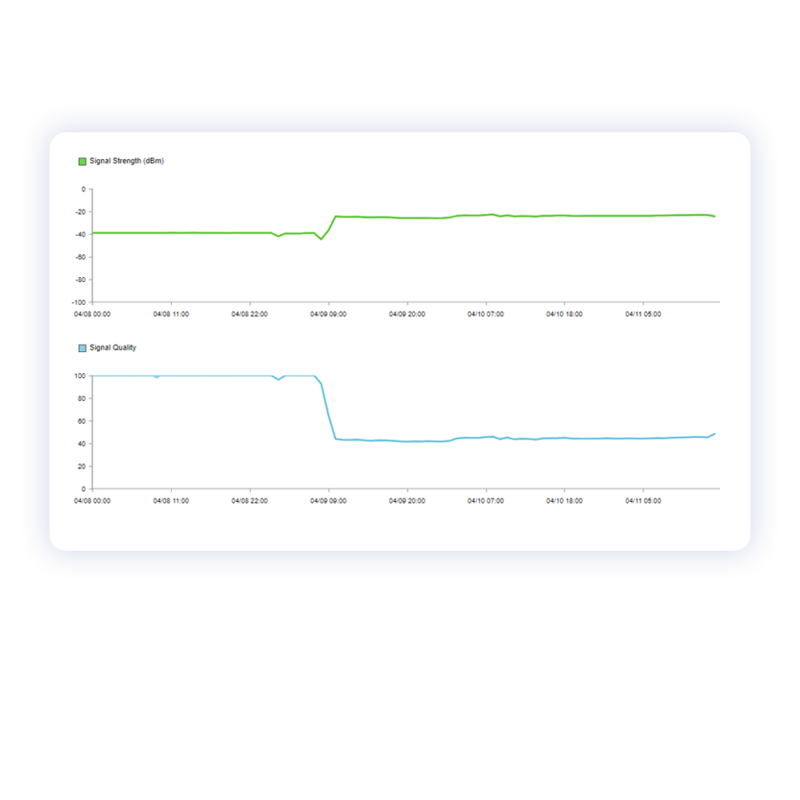 "We can monitor every hop that packets are sent through on their way to the end user and perform stringent network monitoring tests that are able to detect and diagnose isolated issues which are caused by poorly performing ISPs in specific locations around the world." Network instability and outages impact the availability and reliability of applications and services. When something fails, users associate the failure with your application or service, regardless of whether the cause is due to micro-outages, congested networks, or peering failures. Add to that sites that may be blocked, throttled, or filtered from various geographies, and there are many ways network issues can result in unhappy end users. IT environments today are complex, with hybrid or multi-cloud infrastructure, multiple third parties, and a mobile user base. This complexity makes it difficult to diagnose whether an incident is on the LAN, WAN, or internet - which leads to a lot of finger pointing between the network and application teams. You need a network performance monitoring solution to detect, troubleshoot, and help you resolve instability and outages whether the issue is on the LAN, WAN, or internet. Continuous testing and monitoring from a variety of networks, ISPs, and geographies will help you deliver optimal performance with minimal service interruptions.